* 1 pillow cover for a set of 1 person. 2 pillow covers for a set of 2 persons. French designer and manufacturer of anti-mite medical devices, the entire process of ProtecSom® are in compliance with the ISO 13485:2016 certified quality system (medical device manufacturing standard) and ISO 9001:2015 (quality management system). Didn’t find the size you wanted? 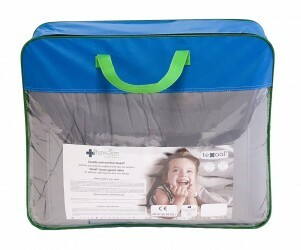 Designed for dust-mites allergy sufferers, this dust mite duvet Texaal® is a medical device that protects the patient from dust mite allergens. While enchanting their colonization and proliferation inside the duvet, it will bring a real comfort during your sleep, similar to that of a traditional duvet. Designed for people allergic to dust mites, this Texaal® sleeping bag, designed for travel, is a medical device that directly and instantly protects the patient from dust mite allergens. 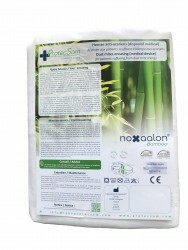 It reduces contact with dust mite allergens while maintaining the characteristics of a high quality sleeping bag. 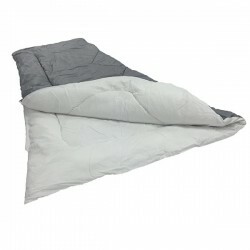 Designed for dust-mites allergy sufferers, this dust mite cover envelops the full mattress. So, it is a medical device that insulates and protects the patient from dust mite allergens. 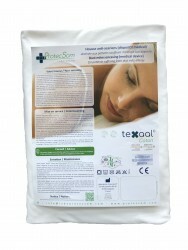 Chemical treatment free, this Texaal® Cotton anti-mite cover for mattresses significantly reduces the symptoms of dust mite allergy without affecting the bedding comfort. 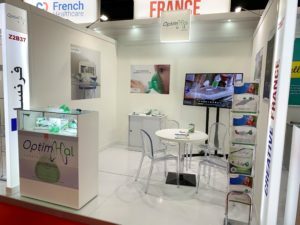 Laboratoire ProtecSom is a French designer and manufacturer of medical devices certified ISO 9001:2015 and ISO 13485:2016 including the design and manufacture of dust mite covers.